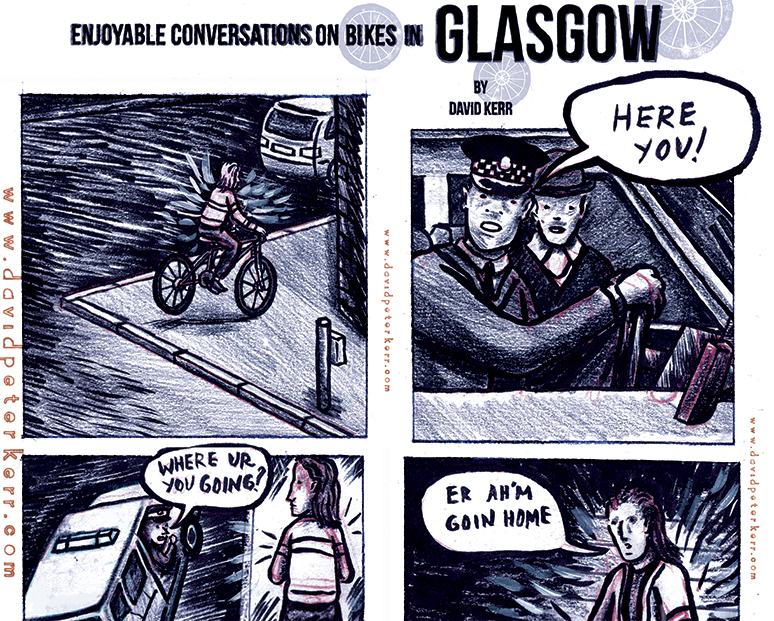 Enjoyable Conversations on Bikes in Glasgow - "Meeting the Polis." A three page, 18 panel comic from a new series I'm developing. This comic covers an encounter with the local cop shop.